The German Aerospace Center (German: Deutsches Zentrum für Luft- und Raumfahrt e.V. 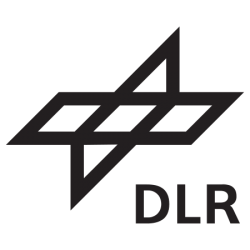 ), abbreviated DLR, is the national center for aerospace, energy and transportation research of the Federal Republic of Germany. Its headquarters are located in Cologne and it has other multiple locations throughout Germany. The DLR is engaged in a wide range of research and development projects in national and international partnerships. In addition to conducting its own research projects, DLR also acts as the German space agency.